In the technology industry there are nearly as many rumors and reports speculating about Apple and their products as there are gossip headlines about Lindsay Lohan or Paris Hilton. 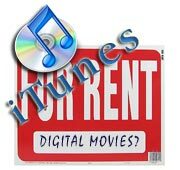 One of the most common iTunes related news grabbers has been movie rentals, or speculation thereabout. Now, it’s grabbed the wires again. The Financial Times is reporting Apple is close to announcing a deal with Fox that will give Apple the rights to offer movie rentals through the iTunes digital store at some time in 2008. Some are speculating the story underlies a renewed push for Apple’s “hobby project,” Apple TV. Alternate theories push a video strategy as a means of supporting Apple’s now almost entirely video enabled consumer product line (only the iPod shuffle doesn’t support video). Apple has not made any statements about such a video offering and this is not the first times the Financial Times has run with a story focused on the concept that proved premature. The idea of an iTunes movie store has been discussed and reported on for almost two years. Last June, both the Financial Times and Wall Street Journal reported Apple was in talks with several studios to offer rentals. They reported Paramount was excited and Universal Studios was uninterested. So far, nothing has happened. In September, the most definitive proof of an iTunes rental offering surfaced when a customer going through the customer service menu of iTunes stumbled onto a drop down menu that included subject headings about rentals. (Click here for the screen capture image from that menu). The menu’s, which were meant for internal use, had reportedly been accidentally included in the live release of iTunes software. At the time, Metue ran a closer look at how converging factors suggested iTunes rentals were a factor of when and not if. A few months have gone by and no new facts have surfaced. Today, the prospect of a movie rental store seems as likely as ever for Apple but like rumors about iTunes and the Beatles, or countless speculations about Apples products, an announcement could be days, weeks, or months away. The Financial Times has been wrong on the subject before and may be again. If Apple’s going to reveal big news, an announcement at the Consumer Electronics Show or Macworld, both of which occur in January, are likely forums.